The Pininfarina PF-Zero previews Mahindra-owned Automobili Pininfarina's first car which is set to make its debut in 2020. The Pebble Beach Concourse d'Elegance is the most prestigious automotive event in the world. Featuring the rarest and most exclusive cars from around the world, the Pebble Beach Concourse, a part of the Monterrey Car Week, year on year showcases some of the latest concept cars and supercars from automakers across the world. This year, the Pebble Beach Show will be doubly special from an Indian perspective. While the vintage and classic car show will feature a headlining 'Motor Cars Of The Raj' category, amongst the new concept cars showcased will be the brand new Pininfarina PF-Zero, which will be showcased for the first time ever in a concept form. Although a concept, the car will showcase how Mahindra owned Automobili Pininfarina's first car, due in 2020, will look like. 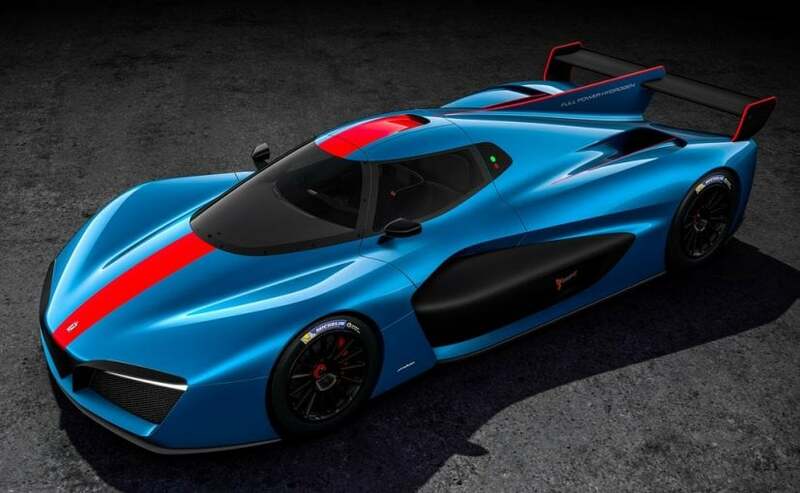 With an expected price tag of over 2 Million Euros, the Automobili Pininfarina PF-Zero will pack impressive specs. The electric hypercar will be powered by a Rimac powerplant and will make it from 0-100 kmph in less than 2 seconds. 0-300 kmph is expected to come up in less than 12 seconds while the top speed will be upwards of 400 kmph. The all-electric hypercar will feature a range of over 500 kms on a single charge with the capability of Level 3 autonomy right out of the box. The car will feature an all-wheel-drive layout and will most likely also get the two-speed gearbox that is a unique feature of the Rimac C2. The Automobili Pininfarina PF-Zero will be restricted to under 100 units and will celebrate the 90th anniversary of the legendary Italian design house. The car will be designed and built by hand at the Pininfarina (SPA) headquarters in Cambiano just outside Turin and will be available with a long range of customisations to suit the well-heeled owners. According to sources, the Automobili Pininfarina PF-Zero has already received a few confirmed bookings and although there aren't any official pictures out yet, we have seen some exclusive renderings, so stay tuned for more details right here on carandbike.com.